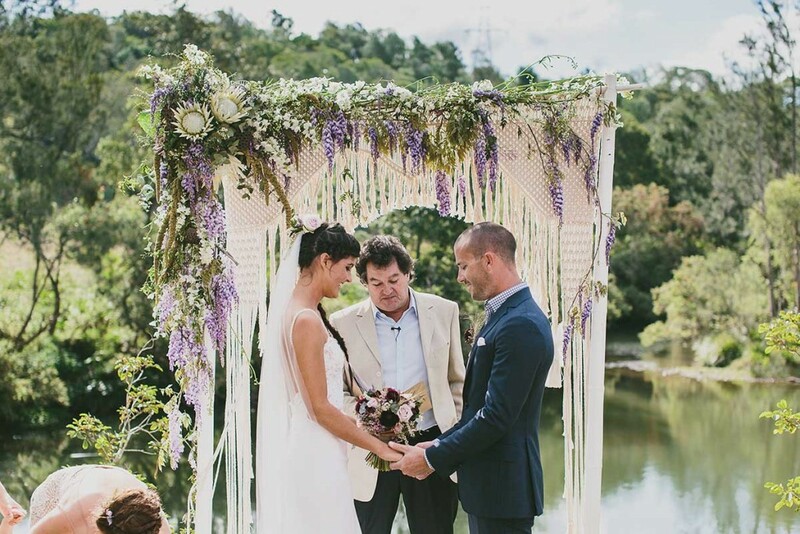 Macramé refers to a style of textile work, where knots are used to create the piece rather than traditional weaving or knitting. It is believed to have originated in the 13th century from the Arabian Weavers where they used the technique to finish excess thread and yarn along the edges of hand-loomed fabrics to create decorative fringes on bath towels, shawls, and veils. 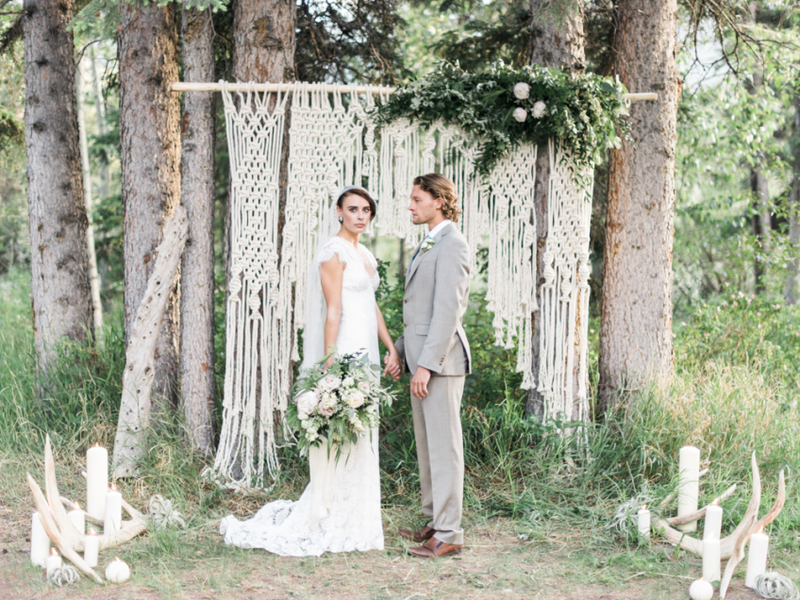 The word Macramé comes from the Arabic weavers’ word migramah meaning “fringe”, which refers to the edging which helped keep the flies off camels or horses in the hot desert, among other things. 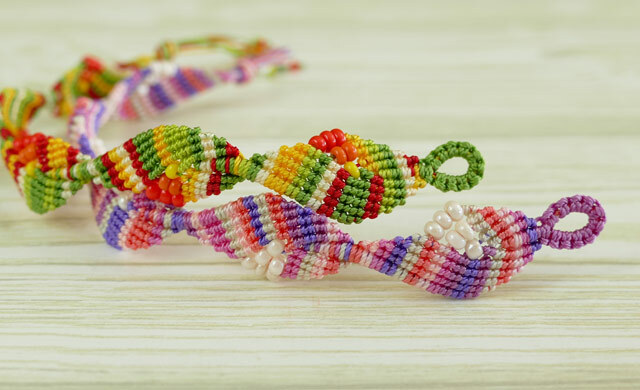 In fact Macramé came to be used for decorating anything from utensil handles, belts, to modern children’s friendship bracelets, jewelry pieces or wall pieces. Really, as with anything creative, you are limited only by your imagination. After making its way to Spain, Italy and then through Europe, it was finally introduced into England in the late 17th century when Mary II taught the art of Macramé to her ladies-in-waiting. However it was not a craft exclusively for women’s pleasure. Sailor’s used to refer to macrame as ‘McNamara’s Lace’, and would often macrame objects such as belts or hammocks in their down-time to sell when they got back to land. Macramé was most popular in the Victorian era when most homes were adorned with items in this craft; tablecloths, bedspreads and curtains. It’s popularity then faded until it saw it’s first revival in the 1970s as a method to create wall hangings, articles of clothing, bedspreads, tablecloths, drapery, plant hangers and other furnishings. Macramé necklaces, bracelets and anklets also become popular in the 1970s, featuring beading, bones and shell. But then, just as quickly, by the early 1980s, once again, Macramé had begun to fall out of fashion. 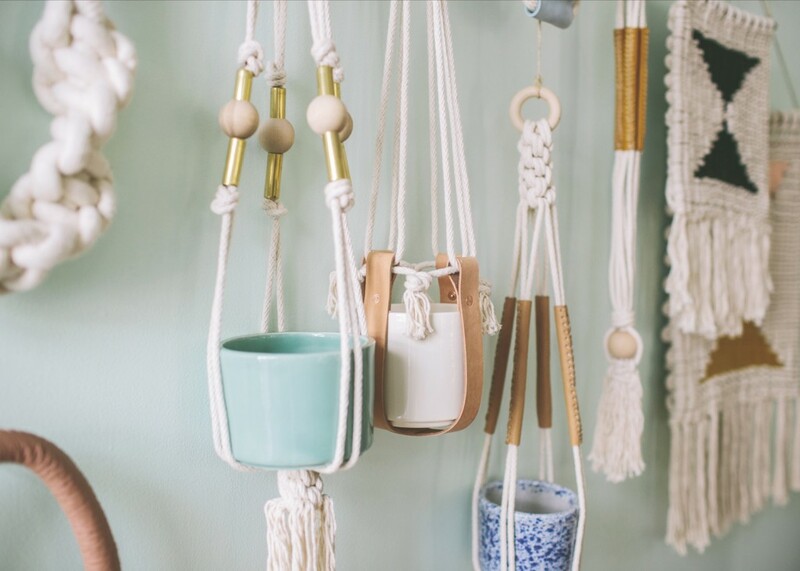 Today, the market is again saturated with Macramé. 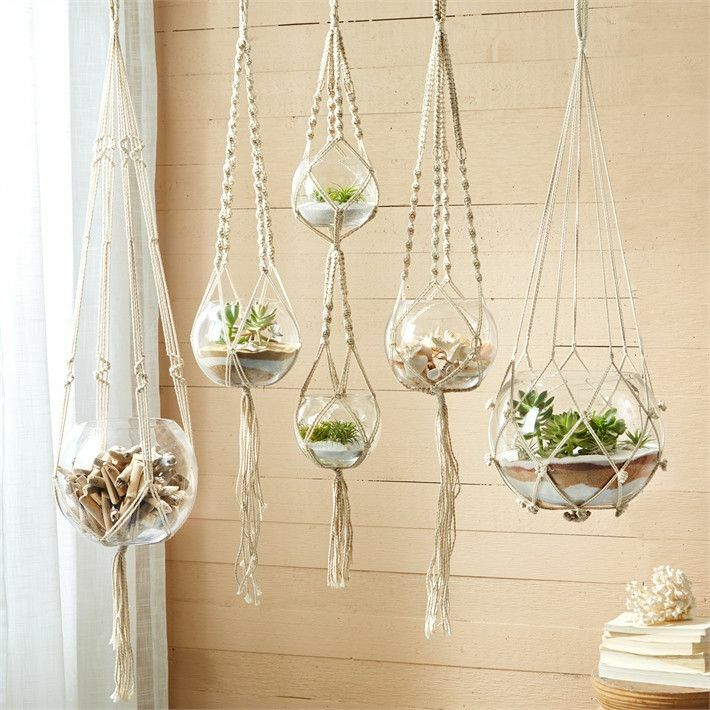 Have you noticed home wares stores once again stocking decorative plant hangers and wall hangings? So mainstream now, it is even stocked within Kmart stores throughout the country. 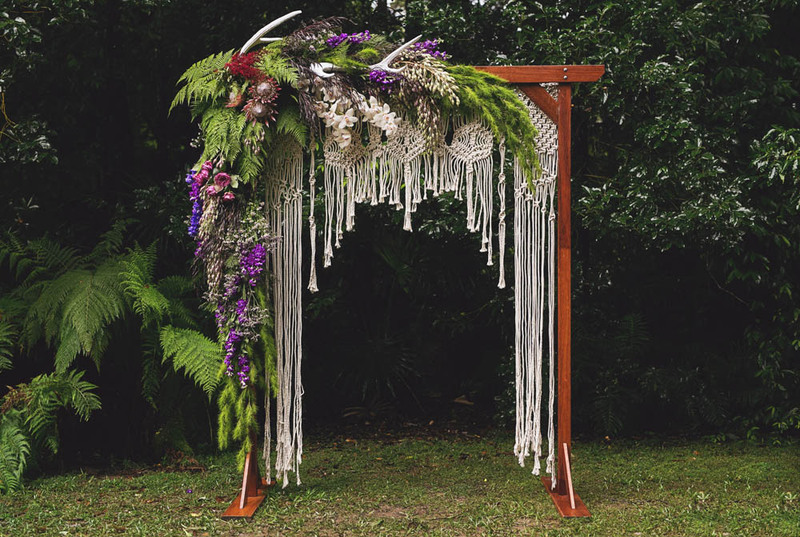 Macramé is once again a popular method to use for hanging plants as well as sitting plant containers, but we are also seeing the craft being featured in beautiful bespoke pieces for dreamy wedding days. 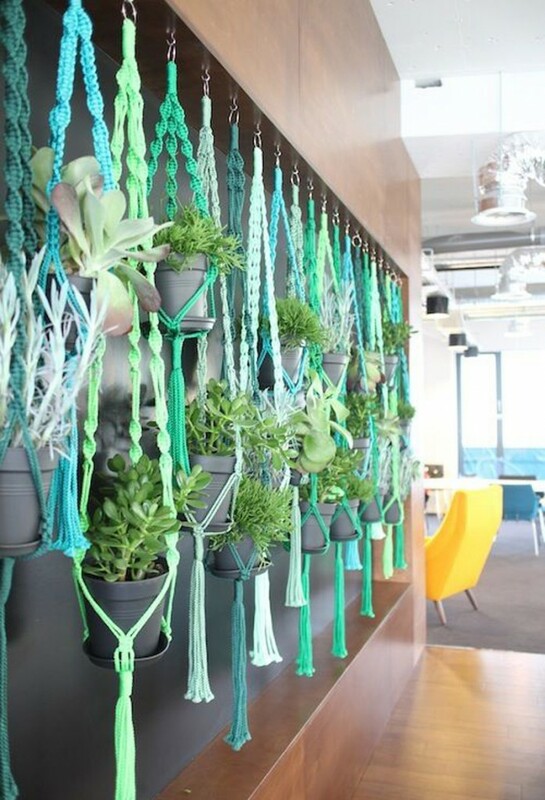 Plant hangers are being made in a variety of materials, from rope to sisal, to colourful nylon. 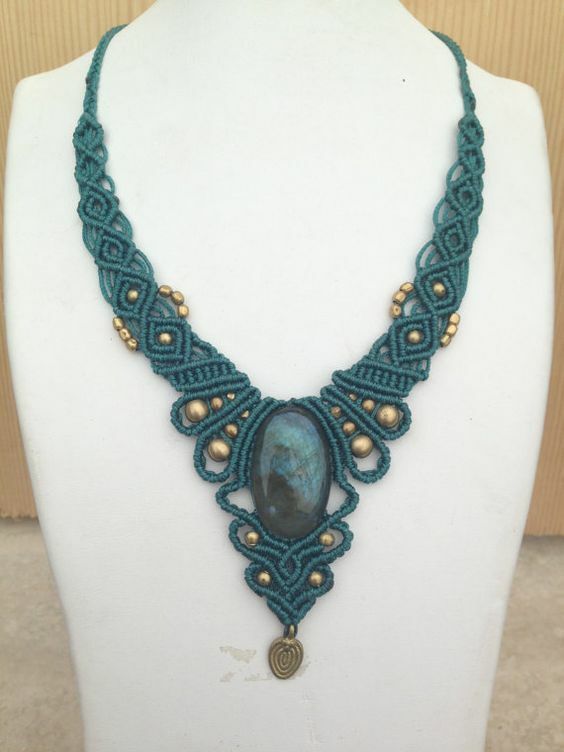 In addition, you will notice than other materials are featured in modern pieces such as copper and brass piping, wooden beads and leather. 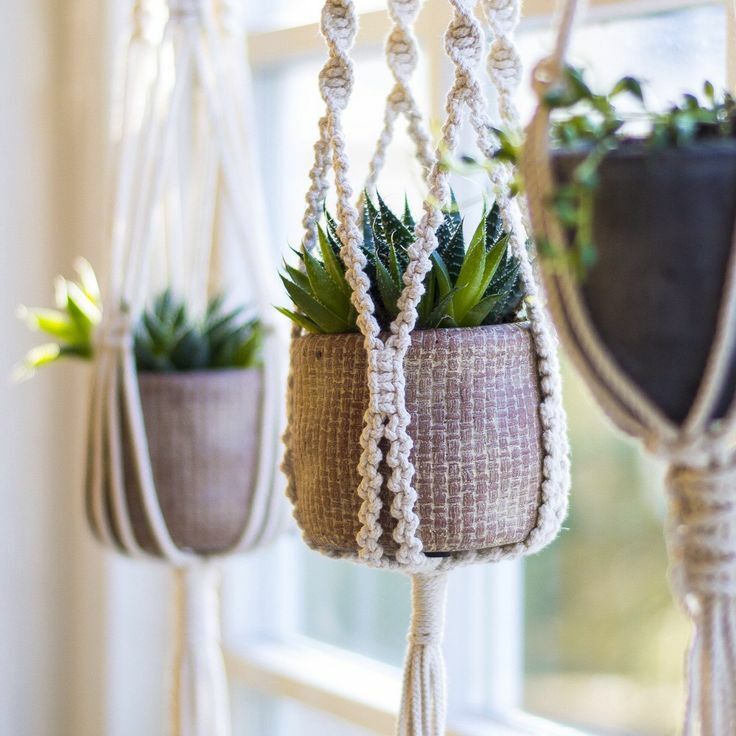 The great thing about Macramé holders is you can personalise the look by choosing your own pots, vases or containers. This means that you can create a cohesive look by choosing coordinating pieces that tie in with your decor. EASY! Cotton macrame looks fantastic with coastal decor, sisal suits rustic settings and nylon is great in modern housing.